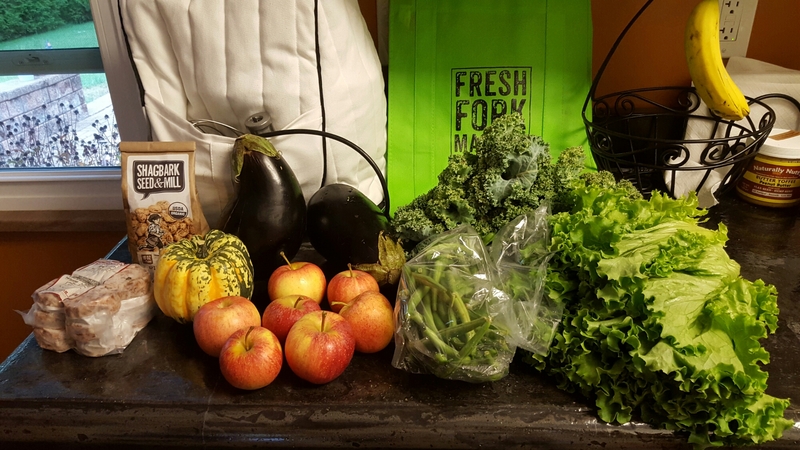 Its a good day when it’s CSA Day – or shall I say, Fresh Fork Day. 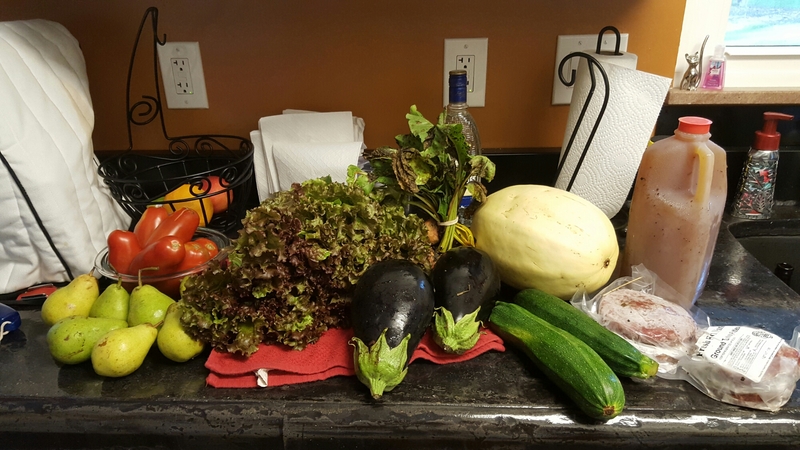 Our CSA bundle arrives Wednesdays up at the church we occasionally go to; I’m slowly learning the ropes of how they do things. Apparently I can also order other local eats to supplement our basket such as meats, pastas, breads, eggs and more. 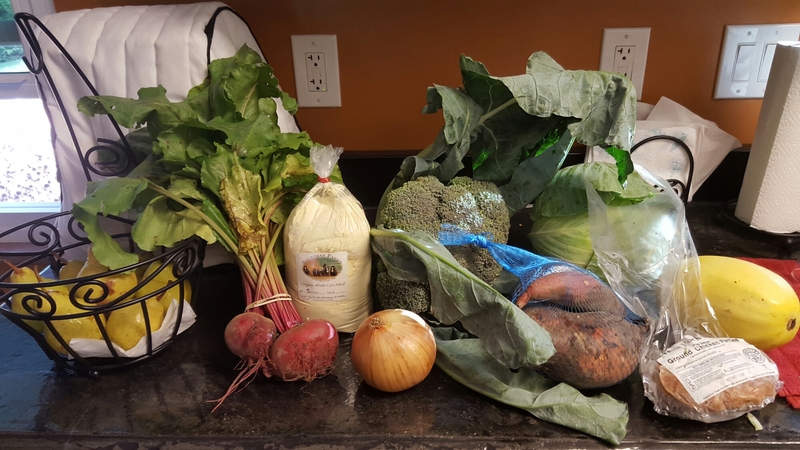 I’m thinking bacon next week 🙂 Anyway, we have subscribed to the Omnivore basket – in addition to vegetables we will also receive fruit, as well as grains and occasional meat. 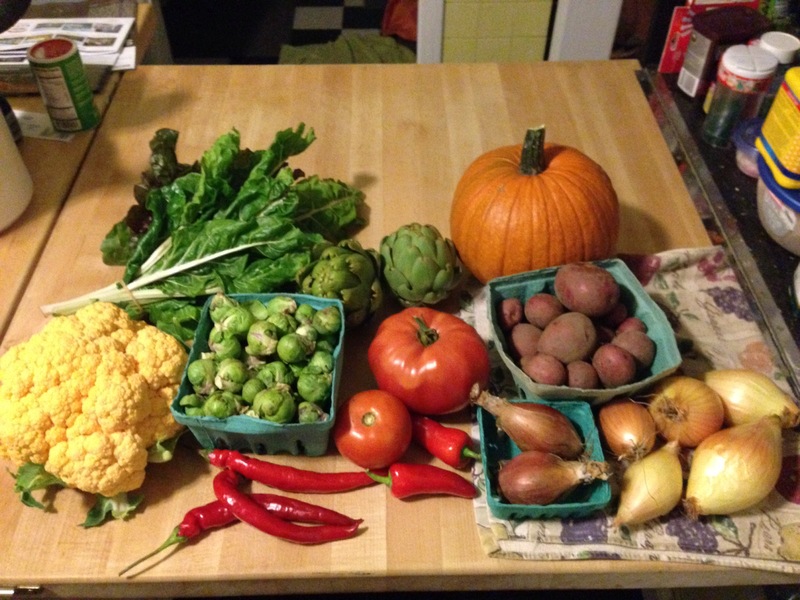 I’ve also signed up for the Winter Share…which will bring us healthy, locally-sourced foods throughout the dreary Cleveland winter. You can imagine how excited I am! ‘longhorn’ peppers – my guess is that they are sweet? I am in no way, shape or form ready to eat those squash yet. It’s a little too warm now – cooling off this weekend for a bit – so I figure these will be stored for a little while and put to use once the weather ‘officially’ turns. The peppers…I’m thinking either a pepper relish or fajitas next week. Tomatoes and zucchini are always easy to use up; if I don’t I will freeze them to use this winter. The leek should be pretty easy to use as well. 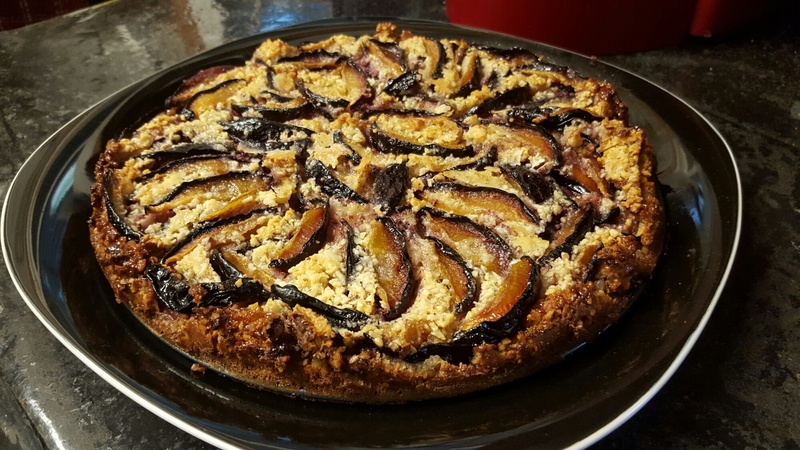 As far as the plums go, I am going to see how many my husband takes for lunch…if any are left I will bake something with them this weekend. The carrot…that huge, purple carrot…I’m thinking roasted, or chopped up for snacking. I KNOW! I’m a slacker. 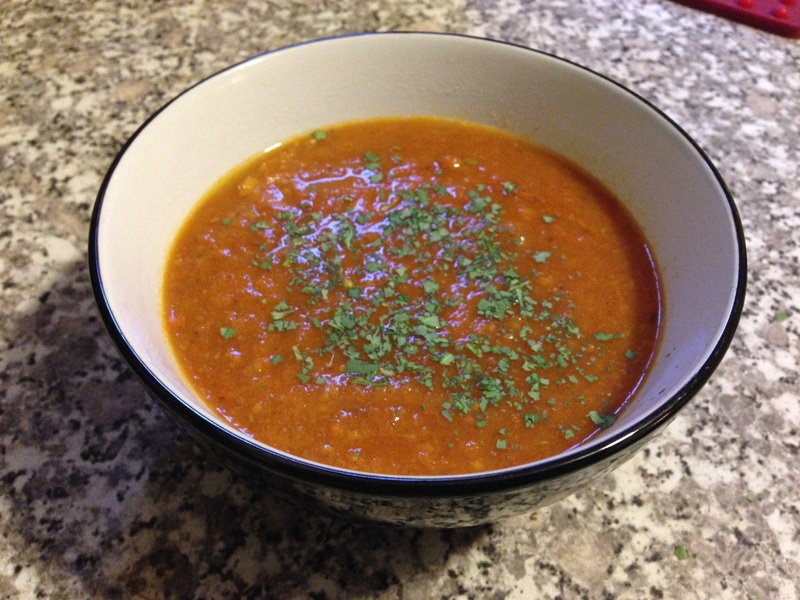 But at least I’m starting to be creative in the kitchen again – give me some credit here! And marching season is officially over so I’m a little less occupied with writing drill, football games, and such. 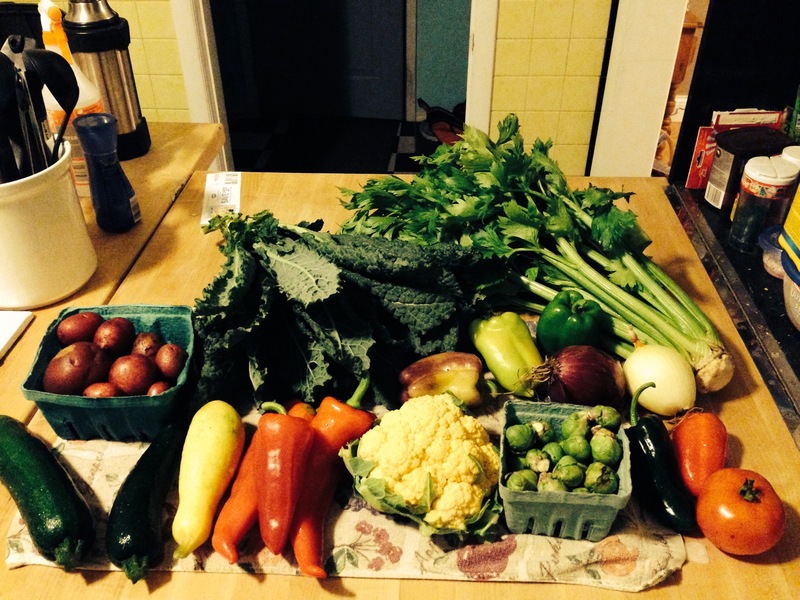 ANYWAY…we’re in the tail end of CSA season and have one more box to go after this post! ARTICHOKES – how cool is that?! Not sure how a filter got put on this one…I think it was late at night? onions – French onion soup, anyone? 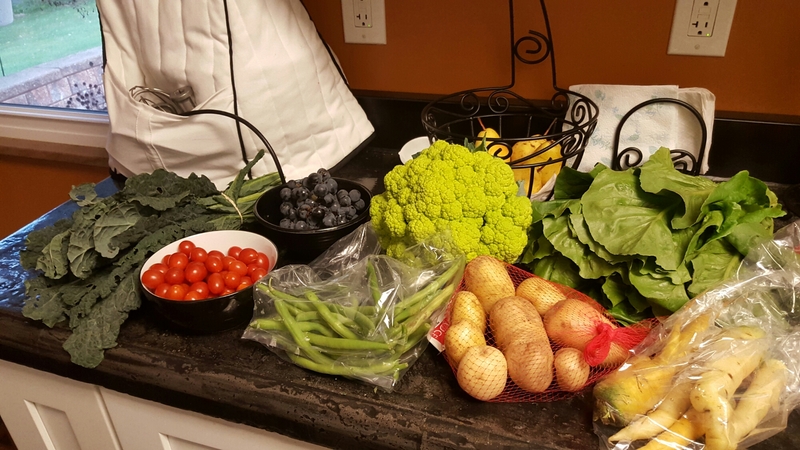 One more week to go before it’s back to purchasing our weekly fruits and veggies. 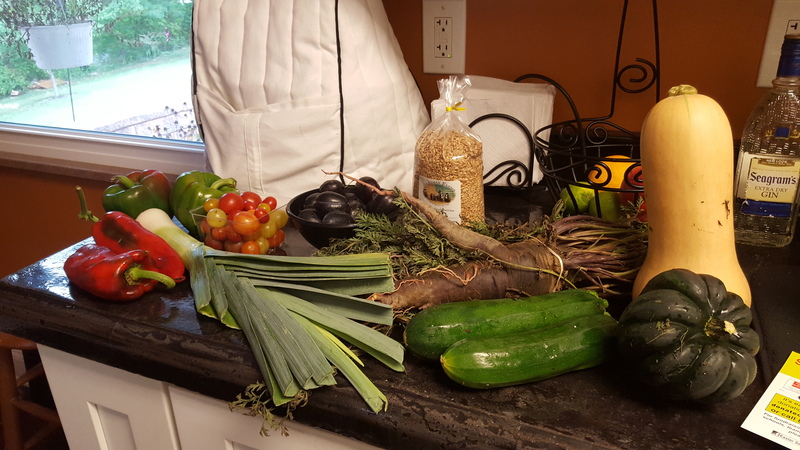 It’s hard to believe…and with the summer that we had I’m still thankful for the variety that we were able to receive from the farm. 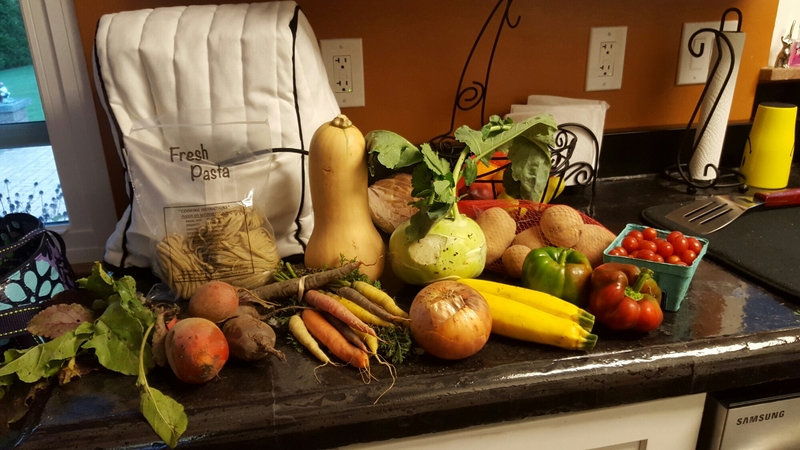 Anything fun in your CSA this week?